Bebo founders Michael and Xochi Birch got famously rich after AOL forked over $850 million for their social network in 2008. Since then, they’ve been investing, running an incubator called Monkey Inferno and reviving a decade-old hit called Birthday Alarm that still hauls in $2 million per year. But the Birches’ biggest project, four years in the making, is an exclusive club in San Francisco. To do so, in 2009 the couple bought a huge old brick warehouse with an internal courtyard, and have been retrofitting and building it out. 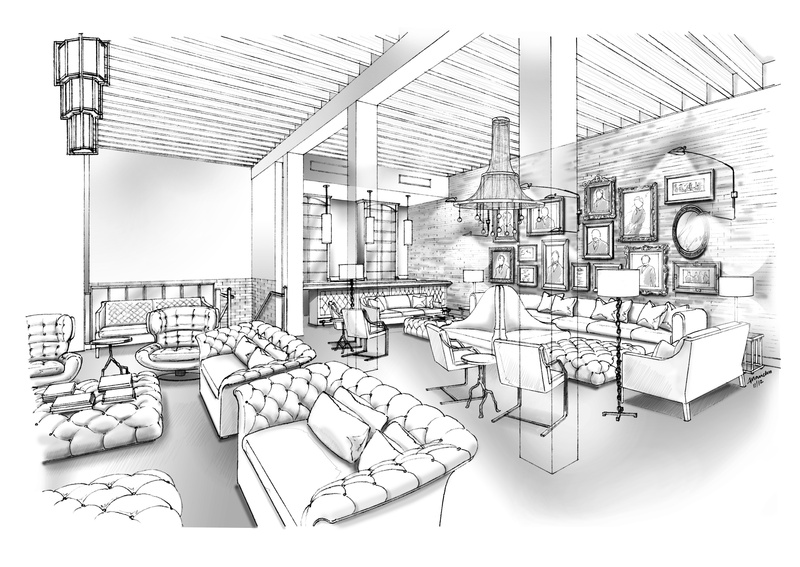 The idea is to parallel the Soho House and other trendy private clubs of London and New York. The Battery, set to open at the end of this summer, will have a restaurant, gym, 20-person hot tub, library, game room, wine cellar, board room, event spaces and even a koi pond. I think I counted at least five bars, 12 luxury hotel rooms and a massive penthouse suite with floor-to-ceiling glass walls and a view over the city and the San Francisco Bay. The property alone cost $13.5 million in 2009 — and the renovation is clearly not budget constrained. 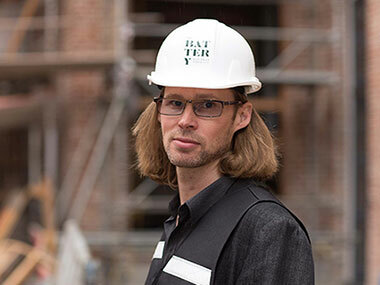 On a hardhat tour of the construction site this week, Michael Birch said coming features will include a chandelier of taxidermied seagulls in full flight in the library, a 23,000-pound suspended steel staircase in the entranceway displaying a three-story art wall and a gigabit Internet connection. The Battery will inhabit and augment a former warehouse on the outskirts of the financial district, which is on the site of a former boat launch from hundreds of years ago, when the edge of San Francisco Bay reached much further into the city. Birch said that digging the courtyard up revealed grooved bedrock and ancient trash from where shipments were hauled onto land. The plan is to limit techies to a third of The Battery’s membership, with others from fields like art and medicine diversifying the ranks. People from finance and advertising will be likely less welcome, Birch said. “Nobody who wears a business suit to work,” as he put it. A very controlled membership drive is currently in the works. So far, a small committee chose the first 100 members, who each get to pick two people to recommend. While the club will be exclusive, Birch told me he does not want it to be elite. 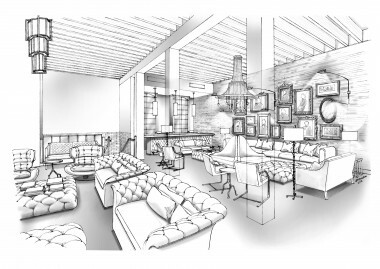 It’s an odd aspiration, especially articulated as it was in the future home of The Battery’s members-only bar, built with massive dyed black oak beams and set to be named for the former owners of the building, San Francisco’s Musto family. Without giving an exact number, Birch said membership fees will be affordable for people who make $100,000 per year, and scholarships will be available for those who don’t. Though Birch is keeping a tight lid on the member list, he sent me over to Julia Hartz, co-founder of the popular ticketing service Eventbrite with her husband Kevin. She serves on The Battery’s membership committee and became close to the Birches since both couples are married co-founders, rare in the tech world. Hartz described Michael Birch as a Walt Disney or Willy Wonka figure, bringing his vision into physical reality. Even more unlikely than the notion that membership won’t be a status symbol, Birch said he hopes that The Battery will be a social-media-free zone. He would prefer that people feel comfortable at the club rather than brag about being there. “The Foursquare mayor of the club had better not be a member,” Birch said.